Rogue Farm Corps Farms Next internship program provides beginning farmers and ranchers entry-level training in sustainable agriculture. 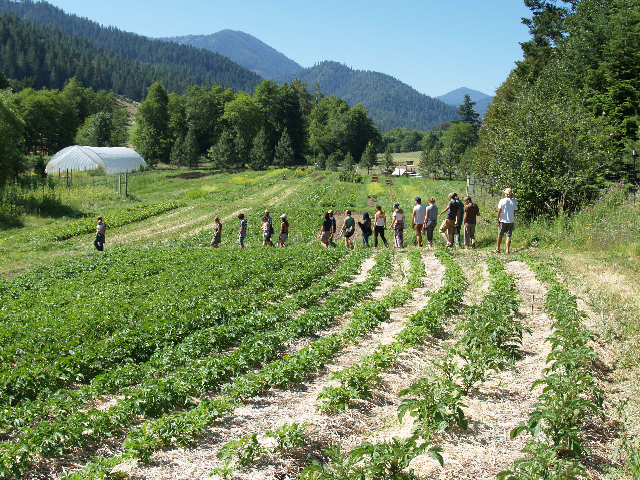 Through an innovative cooperative education program, Farms Next combines hands-on training, classroom learning and farm-based education on a diverse network of commercial family farms in Southern Oregon’s Rogue Valley. 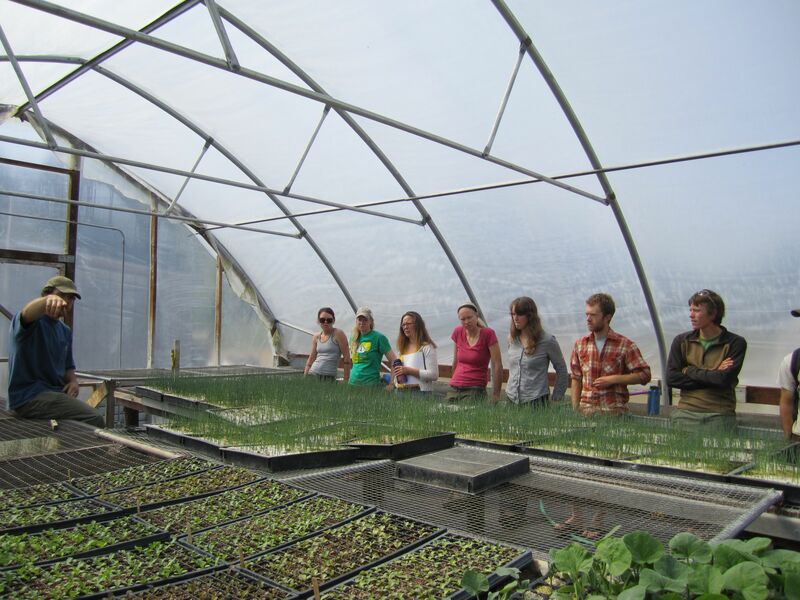 Participants in the Farms Next internship program live and work full time on a host farm for an entire growing season, receiving ongoing instruction and learning in-depth skills unique to the host farmer’s operation. A companion classroom component, farm tours and discussion circles will broaden the experience and expose student interns to the vast array of knowledge and expertise in this farming community. The Farms Next program is taking education out of the classroom and into the field. For the first time, these on-farm internships are available for credit at the Rogue Community College. This partnership may be the first of its kind in the country, and is providing academic and legal structure to hands-on training and mentorship with experienced farmers. The program maximizes field time, as this is the best way to learn how to farm and run a commercial agricultural enterprise. In addition to the hands-on education and training, participants in the Farms Next program are offered a sense of community and social networking that is typically not available in many rural areas. Throughout the season, interns from around the Rogue Valley get together for potlucks, outdoor excursions, and other social gatherings, which lead to lasting friendships and a lot of fun. In the end, many view their time with Rogue Farm Corps as a life-changing experience, and not just a summer spent on the farm. For more information, or to fill out an application, visit www.roguefarmcorps.org. « previous article: Southeastern Farmers to Organize a New Young Farmers Coalition!